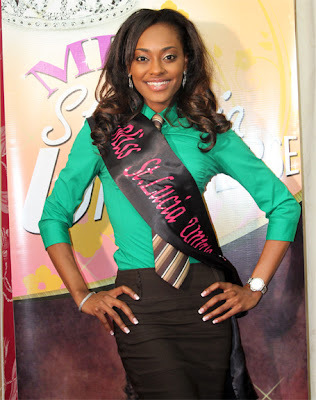 25 year old Joy-Ann Biscette from Castries was crowned as the new Miss Saint Lucia Universe 2011 during a beauty contest held on June 11 at the Sandals Grande St. Lucian Resort in Gros Islet. Joy-Ann Biscette was a contestant in Miss World 2008 and she will now represent Saint Lucia in Miss Universe 2011 beauty pageant to be held on September 12 in São Paulo, Brazil. While Patrice Lionel was the 1st run-up and Katrina Scheper was the 2nd run-up.